but the soul of knowledge had fled from its coverings. The paper I am presenting at this landmark Conference will differ significantly from others by the illustrious attendees. The basis for my approach is quite different; it is yogic. Consequently, my understanding of the Sacred Arts has not been through a scrutiny of the Scriptures, or even from an in-depth knowledge of Sanskrit – which alone would have occupied me for a lifetime. It is purely through the realisation of what the Sanskrit Scriptures contain but have been left for us to discover on the basis of certain precise practices. This has always been the tradition in matters initiatic. Language, even the most sacred to us, is not the main tool of discovery because it is essentially time-bound. Rather, in the case of a calendar for Vedic observances and horoscopy, the tool is the ancient hieroglyphic Script that has been preserved over the millennia. It is universal and unbound by both time and space. Together with these hieroglyphs there is sacred geometry which is part of the language of Initiates. Bharat has always excelled in these Arts, but now that tradition seems to have faded because they must constitute the basis of the ability to devise a proper calendar to serve the Sacred. Starting with this Conference we must retrieve that ‘soul of knowledge’, because what we are left with is simply its external ‘coverings’. I feel confident that my presentation will prove this point. Consequently, my paper will sound unfamiliar to most. But if attention is lent with this background, it will soon be evident what a calendar for Vedic Observances and Horoscopy must be, and what the basis must be for this understanding to come about. In my view, and after a lifetime of dedication to these Sacred Arts has revealed, there is no other basis to know, without speculation and relativism, just what needs to be retained and/or discarded of the current calendar used by the Hindu Samaj. First we must establish just what the role of a calendar is in society. In civil society its function is obvious and need not be elaborated, except to state that the present universal calendar, which was also adopted for independent India, is one of the most enlightened methods of time reckoning. This is because it is the most natural, based as it is on the Cardinal points of Equinoxes and Solstices – or the Earth’s own measure, her contribution to the celestial harmony. This natural calendar follows the four seasons that are experienced throughout the world. Interestingly for the purposes of our discussion, this was the calendar used in ancient times – in Egypt, in Greece, in Rome, and of course in the Vedic and Sangam ages. Many in India, primarily those of the Nirayana School, believe that this universal calendar is Christian in origin. But this is not at all true. The universal calendar based on the Equinoxes and Solstices, predates Christianity by many centuries. Perhaps because of this bias left over from colonial times, Hindu pundits looked elsewhere for a solution to time reckoning for temple rituals and horoscopy. Contemporary science came to their aid and the notion of a scientifically-accurate calendar was foremost in their minds. It was then that an unfortunate mistake was made: science introduced the idea that there had to be a separation between rasis and the fourfold measure of the ecliptic plane where the planets including Earth circumambulate the Sun – that is, a separation between the Equinoxes and their corresponding zodiacal signs, Aries/Mesha and Libra/Thula. This is an aberration that persists until today. 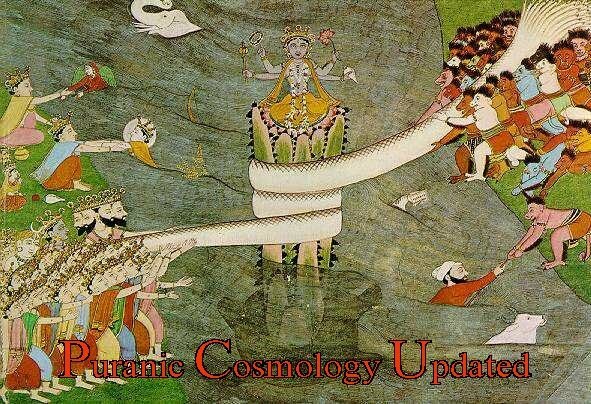 In the effort to be ‘scientific’, given the predominant role of astronomy when it became separated from astrology, the method of time reckoning of the ancient world, including Vedic India, was discarded in favour of the new model based on the contemporary discipline, astronomy. To be precise, the ‘accuracy’ this new method introduced is fictitious. Indeed, it is this FICTION that lies at the root of the dozens of ayanamshas in use today, each one claiming to be the correct Zero Point, wherefrom the time wheel is set in motion. Those who know astrology in depth realise that the Zero Point, or ayanamsha, is the single most important element to establish if any sort of accuracy is to come about. Having a dozen or so to choose from, each one followed by some segments of the Hindu Samaj and eschewed by others in favour of another pundit’s calculation, has led to the chaos that exists today in matters astrological and ritualistic. The objective of this Conference is to bring about some sort of order in this chaos. After all, since ‘cosmos’ means order, it is clear that for a society such as the Vedic, which boasts of an unbroken tradition over thousands of years – and, above all, one rooted in the cosmic harmony – any confusion in astrological time reckoning, as we find today, would mean that the thing which we boast most of – the cosmic connection – is actually an illusion. The issue before us is to retrace our steps and to recover that Order once again. Fortunately, this is not at all difficult and can be done immediately. The cosmos we are a part of is, for all practical purposes, eternal. The harmony today is exactly what it was in the Vedic Age; it moves, its rhythms multiply, they rise and fall, but its basic structure remains unchanged within which these variations occur. The key to understand the cosmos is to experience rest and motion as simultaneous, eternal principles. This underlying constant is the fourfold balance on the Equinoxes and Solstices, the measure of 365 days of our Earth Year, the phases of the Moon, and so forth. There are other more subtle rhythms, but for the purpose of establishing a foundation for our discussion, they can be ignored for now. Thus, forging a connection with that eternal Constant is the single most important objective of a cosmic-based civilisation. By inference, to lose that connection would mean the disintegration of that eternal dharma which the cosmic harmony describes so accurately for India, unique among all other nations. All of this hinges on the correct Zero Point. And it must be recalled that India gave the concept of Zero to the world – which is the same Plenum that the ayanamsha holds in time reckoning, provided of course that it is rooted in the Cosmic Truth and not the Cosmic Ignorance. The former is Fullness of the Vedic Order; the latter is the Void, a concept completely at variance with the Vedic core of the civilisation. To remove Fullness and replace it with emptiness, the strategy would be the method as it exists today: the chaos of multiple ayanamshas. This is what this conference must address.